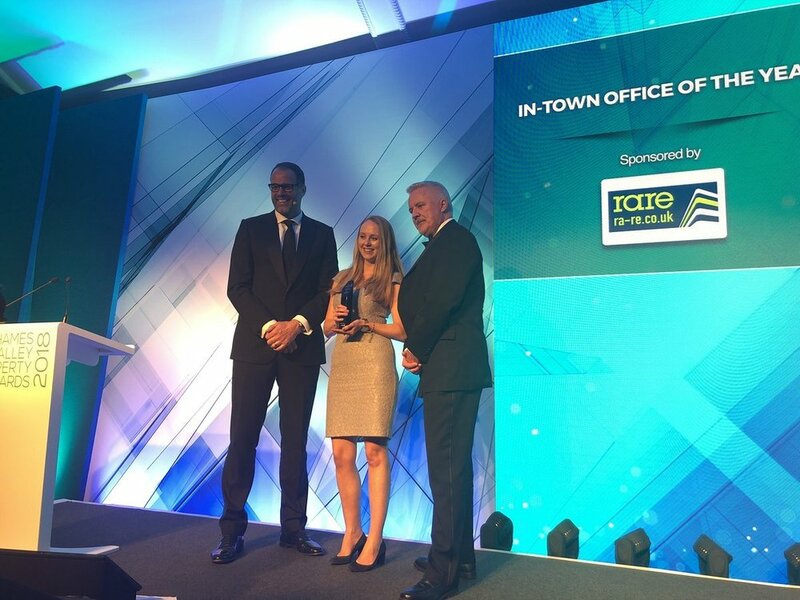 Apex wins 'In-Town Office of the Year' at the Thames Valley Property Awards. Paragon provided full Project Management services for all the Legal & General works across the office building. Built in 1989, Apex has been the largest, most successful office building in Reading town centre for the past 30 years. Since Legal & General bought Apex in 2015, they have invested heavily in improving the building, to make sure it remains one of the market leading commercial properties in Reading town centre. Providing flexible, modern open offices with exposed services across a variety of floors. Managing the concept and detailed design of the ground floor office, subsequently achieving planning to change of use and constructed the retail units all of which are now let. Managing the concept and detailed design of the atrium as well as the works on site, which was in the middle of a fully tenanted building. Developing the main entrance from concept and through detailed design, then phasing an alternative entry route into the building for occupiers, and completing the construction works handing it back fully operational. The judges were looking for a design that celebrated the best aspects of co-working, collaborative working environments, and innovative spaces that set the benchmark for offices in 2017 and beyond. Entrants had to demonstrate how the office workplace was approached and how it helped achieve genuine productivity gains for occupiers’. Congratulations to all involved in making Apex an award winning scheme.